It might sound great to say that you have global plans for your business. But what does global ambition actually mean? 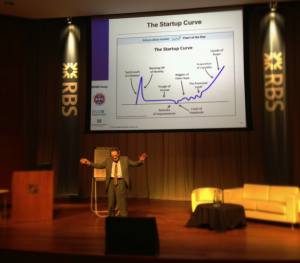 Last Tuesday, 200 members of the local high-growth startup community congregated at the Royal Bank of Scotland’s Gogarburn Conference Centre for the ‘Global Strategies for Ambitious Entrepreneurs’ workshop in order to delve deeper into the nuts and bolts of growing your business to the next level. Speakers Joe Lassiter of Harvard Business School, Ken Morse and Joe Tree, CEO of Edinburgh-based photo-sharing website Blipfoto took to the stage during an afternoon designed to spark a healthy discussion amongst those in attendance. Focusing initially on the early days of disruptive business Airbnb, it was no surprise to find a variety of conflicting opinions around the room in certain areas. It’s impossible to completely remove any knowledge that you have, either of a business that has been shown to be an outlier or the development of the business environment over time, when assessing historic decisions made by the founders. But whilst the lens may change, most agreed that there are valid lessons for us all from recognising common patterns from companies that will all face similar challenges at an early stage. 1. To be globally ambitious, all you need is ambition. 2. Don’t rule out relocating entirely. When questioned “Why do you rob banks?”, notorious US criminal Willie Sutton (supposedly) replied, “Because that’s where the money is”. Do you truly want to be dominate your sector? If so, you may have to move to where the action is concentrated in your industry in order to access both the necessary funding and, critically, the talent. 3. The dream of building the next Google must always be balanced by the need to survive the day. Be passionate about what you’re doing – making money should never be your primary motivator. If you enjoy doing something, there can be little downside. Only once you’ve finished with a business can you answer the question that acts as every entrepreneur’s own personal metric: was the time you spent worth it? Financial rewards can only ever form a small part of that answer. 5. Observe the Rebel Alliance: hope is important. In Ken’s view, the number one reason that people give up on their businesses is not because they run out of money – it’s because they run out of hope. 6. Always ask for help and always go straight to the best. In Joe Tree‘s experience, he’s never been turned away yet. Do your research – in depth – before you contact an investor and answer that question clearly. You only have one opportunity to make an impression. Ten hours of reasearch per investor is not unreasonable given how important they are will become to your business. 8. Understand the differences between incubator models. There is a tension between those who provide tailored mentoring (such as theTechStars model) and more in-your-face trainers (such as Y Combinator). Joe Lassiter spoke of there being an incubator bubble and that it’s now more critical than ever for any aspiring entrepreneur to research the value of the network of a potential incubator before committing your time. After all, time is the only resource, according to Stephen Hawking’s view, that is ever truly irreplaceable. 9. Never bounce ideas around in a vacuum. Test everything that you develop on your cohort. You can never speak to too many customers (actual or potential) to get feedback on your product or service. 10. Remember the lesson of the pig and the chicken in the kitchen. Question: in making a ham omelette, what’s the difference between the chicken and the pig? Answer: the chicken is involved, but the pig is committed. The crucial turning point in Airbnb’s history was when the founders committed to throw everything into making the business a success. Commitment is non-negotiable for entrepreneurship (defined by Prof. Howard Stevenson as “the relentless pursuit of opportunity beyond the constraints of the resources currently controlled”). So there you have it – ten takeaways that I hope at least give you some food for thought if you couldn’t make it along. I’d like to thank Andrew Mitchell, for expertly arranging yet another valuable event and also for inviting me along. He consistently brings speakers with world-class entrepreneurial knowledge to Scotland and we all get the benefit of his hard work in doing so. What are your thoughts? Were you at the workshop and found any other points more useful than those I’ve summarised above? Or perhaps you disagree with some of the observations – if so, what’s your experience? As ever, I’d be delighted to hear from you in the comment section below. Note: This blog post originally appeared on the MBM Commercial LLP Startup Blog. Ignoring the SEO implications, I wanted to post it here also as the session raised a number of lessons that could be useful for entrepreneurs. 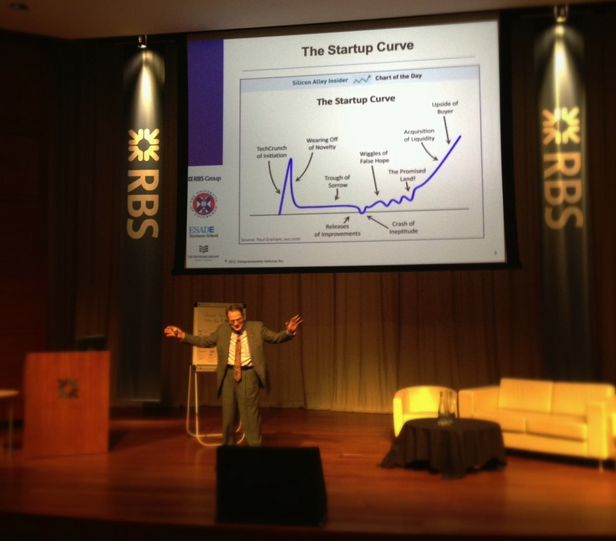 Previous Previous post: Scottish Startups: A Great 2012 – But A Better 2013? Next Next post: How Influential Are You Going To Be?